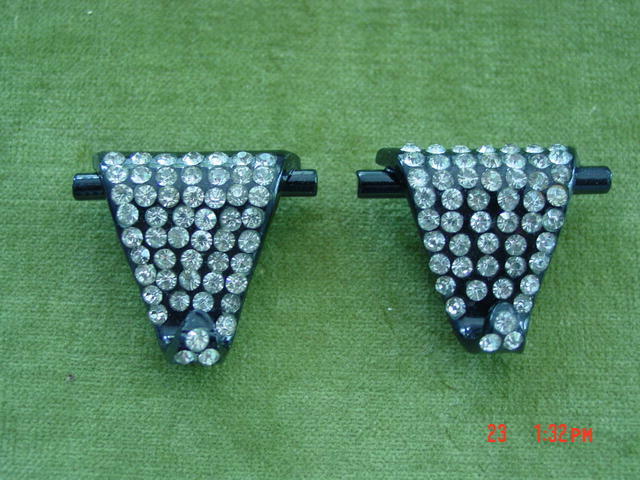 Wonderful art deco fur, dress or shoe clips! 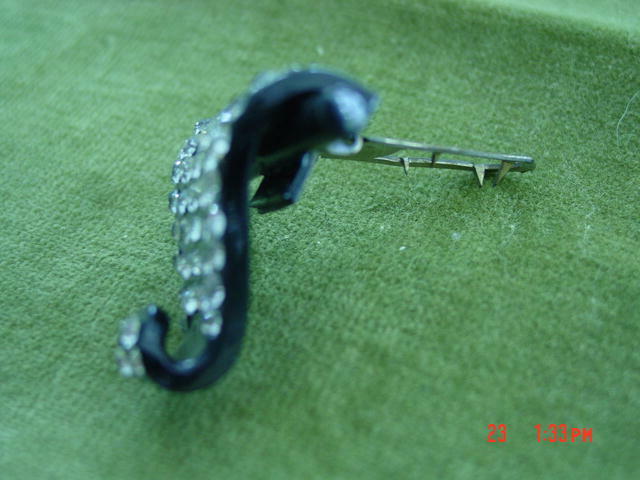 They are made of black triangles with the tip curled up and the back curled down onto a black bar, and covered with 47 small round rhinestones sweeping down the front, and three on the front of the curled up tip. 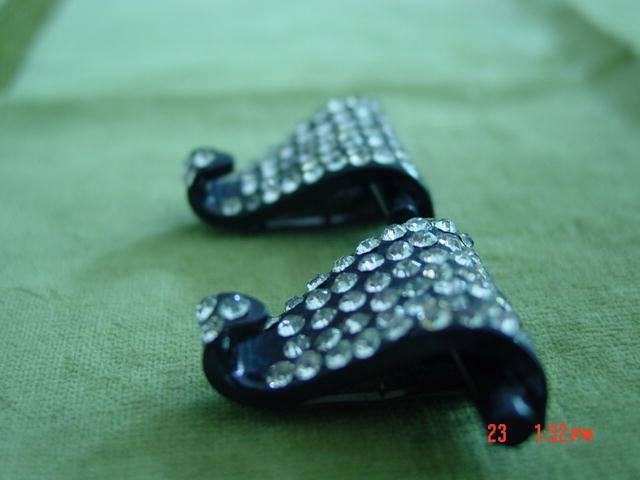 Items Similar To "Art Deco Black Plastic & Rhinestone Fur, Dress or Shoe Clips"